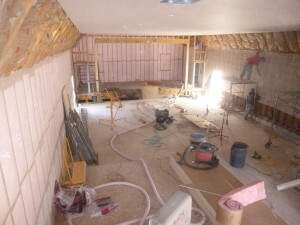 We have started the Sheetrock and insulation. What great hard working people these two are…. Saving a part of our history and bringing a new business to the town of Escalant….. Can’t wait until you open your doors and the fun begins….. Thank You !!! !